I bought two jars of jam on Monday at our local farmers market. I had no intention of buying jam. I bought those two jars because I’m a sucker. After taking my daughter to gymnastics that afternoon, we stopped by the farmers market to browse the selection. It’s a small market, with only ten or so booths set up in the peak months, now through the summer. In the winter months, there might be just a couple of farmers selling their produce. On Monday, though, there were some good things available. Several farmers had fresh tomatoes, greens of some sort or another, lots of zucchini and yellow crookneck squash, and cucumbers. A couple of booths had pints of fresh plump blueberries, and many of those pints were filled with berries almost the size of a dime. 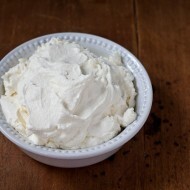 One local goat farmer had raw goat’s milk, goat’s milk ricotta, and fresh eggs. As we were leaving, arms loaded with bags of summer squash and blueberries and a token batch of goat’s milk ricotta, Maddie dragged me over to a table filled with jam jars of all sizes. The jam maker was a tall Australian man wearing a cowboy hat. His accent was lovely. He wasn’t so bad looking, either. I explained to the jam maker that I had just made a batch of strawberry jam, just two days before. And no, I really didn’t need any jam, but his certainly looked good. He asked my daughter if she’d like a taste. This was a sneaky move, of course. What eight-year old turns down free samples of sweet jam and apple butter? Not mine. While winning over my daughter, one lick at a time, the jam maker told me about the flavors he’d created and about his upcoming ideas for new batches. Before I knew it, the Australian had won me over. His passion for jam-making and combining new flavors, his sweetness to my child, and yes, his accent — all of this resulted in me coming home with $10 less in my pocket and two jars of jam we didn’t need. So, about that jam I made. The Australian’s strawberry jam was good, but mine takes the cake. After going strawberry picking with the kids on Saturday, we had an abundance of strawberries. Seven pounds of strawberries, in fact. Making preserves of some type seemed the only rational thing to do with that many berries. Other than eating them by the handful, that is. Jennie is always a reliable recipe source – not to mention friend – and she didn’t fail me here. I used her strawberry jam recipe as a model, mostly because I loved her idea of using the microwave to cut the preparation time. Genius, I tell you. I can hardly wait until her cookbook comes out. 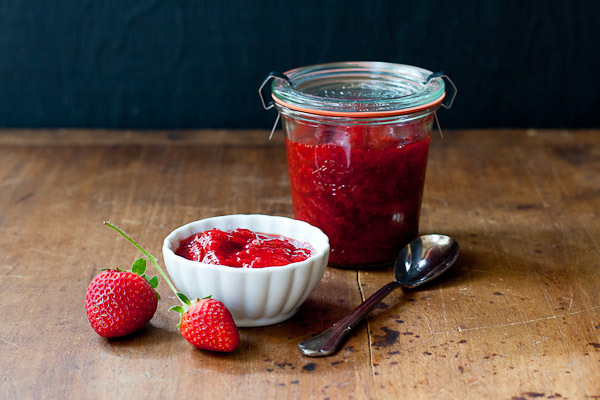 This recipe is adapted from Jennifer Perillo's Strawberry Jam recipe. I used regular pectin since that's what I had on hand, and I added some balsamic vinegar and black pepper. 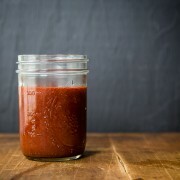 Strawberries plus balsamic vinegar plus black pepper might just well be the new bacon. 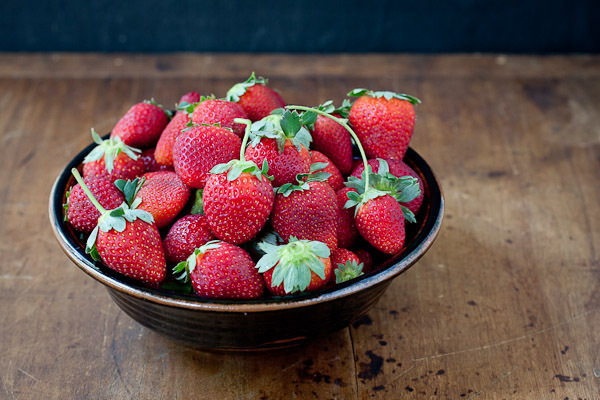 In a large glass microwave-safe bowl, mash strawberries using a potato masher or fork to desired consistency. Microwave on high in the microwave, covered, until strawberries are almost boiling, about 5 minutes. In the meantime, whisk together sugar and pectin. Stir sugar and pectin mixture into berries. Add balsamic vinegar and black pepper, stir to combine. Cook on high for 3 more minutes, taking care to cover the bowl well with a paper towel (very important! ), until thick and bubbly. Transfer to a container, let cool, and refrigerate for up to 3 weeks. I’ve never been berry picking but am always reading about it on blogs. It sounds divine… you’ve inspired me to go soon! Such a simple and elegant looking dessert! What a beautiful post! And a wonderful recipe. I absolutely loved this piece! Drinking my morning coffee in the sunroom today I was transported into that blueberry field and experienced the wonderful day right along with you. Fabulous writing. 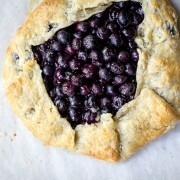 The galette looks scrumptious! This was such a lovely post, I felt like I was right there with you.